Skylark Blog: Should I Sign My Divorce Agreement? 1. Has the marriage been irretrievably broken down with NO CHANCE OF RECONCILIATION? 2. Does the Agreement completely resolve all issues relevant to the marriage in a fair and reasonable manner? 3. Is this an agreement that you can live with? In the end, it is not our life but yours, and the divorce agreement will govern some important aspects of your life in the future, especially when there are children involved. 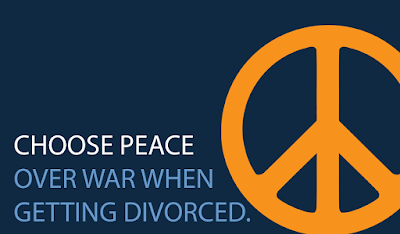 Being able to "live with a divorce agreement" means not only being happy or satisfied with it, but also being able to perform any of the agreement's obligations. If the agreement is not something that you can live with, and/or live up to, you might find yourself back in court in the near future. When we draft agreements to propose for settlement, and when we review proposed agreements brought to our office, we believe it is necessary to gauge both the fairness of the agreement and the likelihood of our client falling into contempt. Ultimately, whether the agreement is fair and reasonable is up to you, but if we don't think you can afford the commitments you are making we will not give the proposal our endorsement. While there are certainly legal implications to the various parts of a divorce agreement, if you are satisfied that you understand and can meet the commitments you are making, then you must still ask yourself if the agreement is something that you can live with. The goal of a divorce agreement should be transitioning to the next stage in your life, and avoiding a return trip to court.